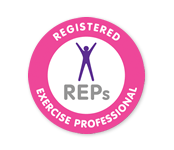 We are London’s Premier Mobile Personal Training Company. Owner Mark Brazier has put together an exceptional team of Trainers from all corners of the Capital, whose main goal is to deliver to all our clients, defined results in an agreed timeframe. We come to you, whether it be your home, local park or office, bringing all equipment necessary, and when training indoors, only require a floor space the size of a mat to work on. We cover all London Boroughs and offer some of the most competitive prices in the Capital. Try before you buy a block!